This article gives a brief introduction into modeling business processes by using the Event-Driven Process Chain. Events: The event describes the incidence of a state. This state activates a function or is the result of a function. Events are passive elements in EPC. Every process begins and ends with one or more events. 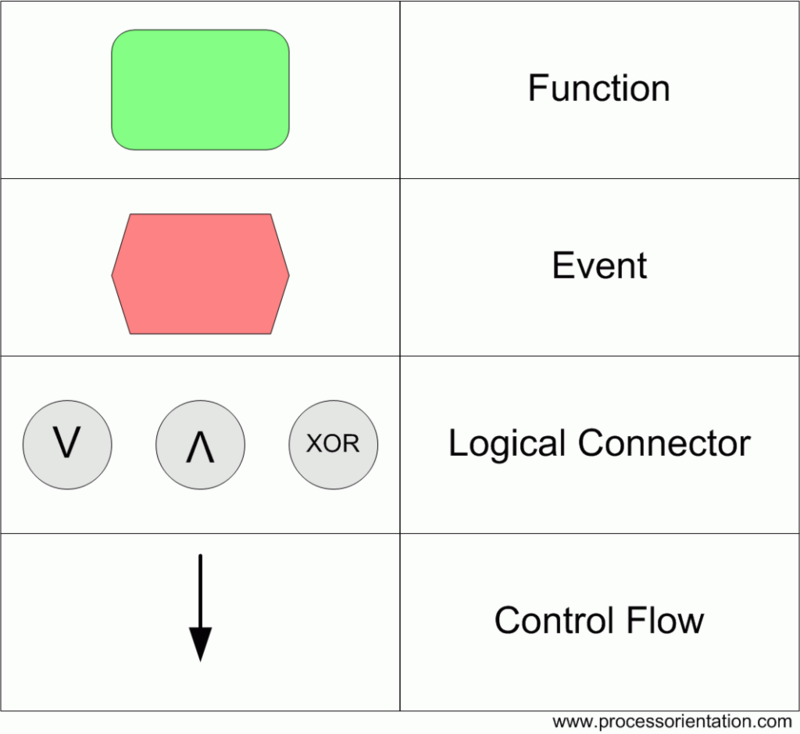 Functions: Functions represent tasks or activities within the company. Functions describe transformations from an initial state to a resulting state. They are active elements in EPC. Functions consume resources and time. A verb should be used for the name of a function. 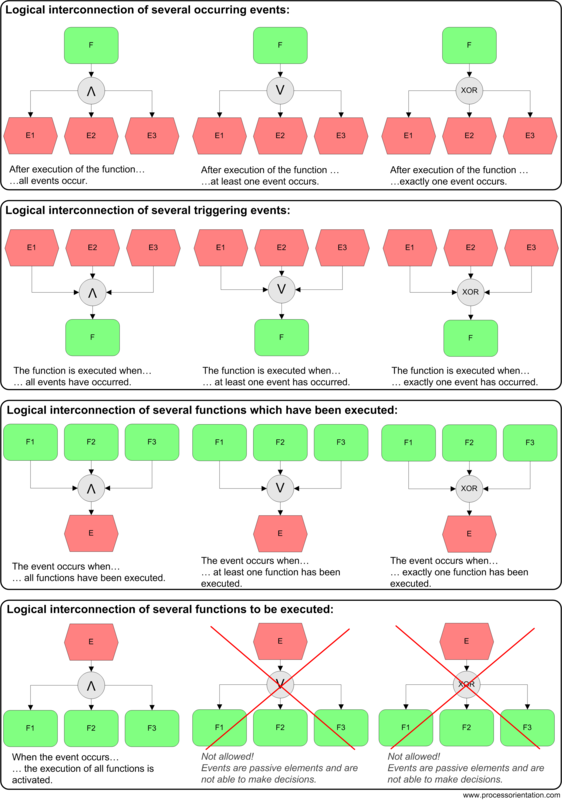 Logical Connectors: By using the three different logical operations (AND, OR, and XOR), branchings can be inserted between events and functions. 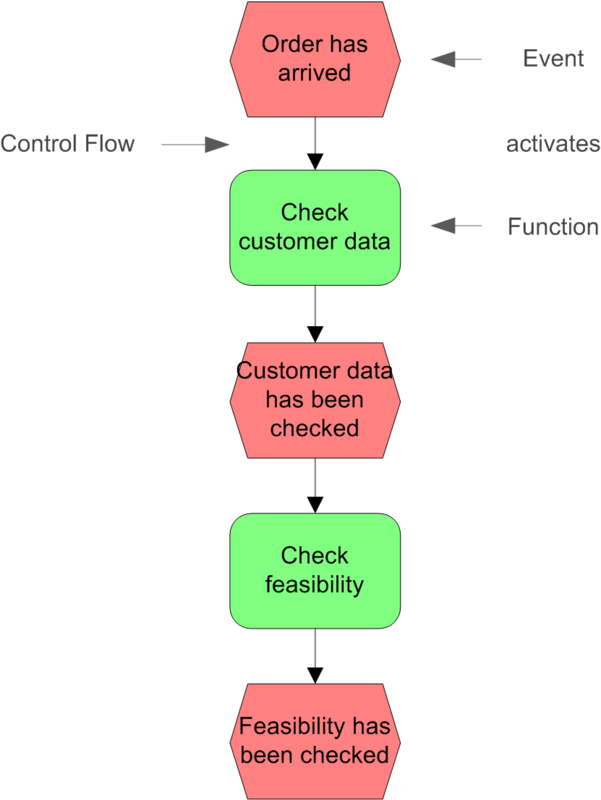 Control Flow: The control flow describes the chronological-logical dependency of events and functions and can be split up by using the logical connectors.